DO YOU WANT TO TAKE ACTION ON THE MAANGAMIZI AS IT AFFECTS YOU? 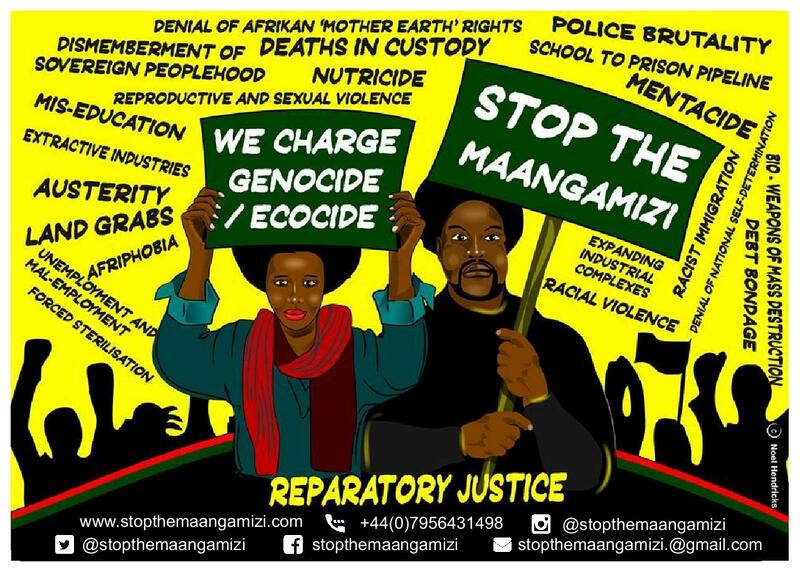 Do you want to take action to get redress for the Maangamizi (Afrikan ‘Hellacaust’ of chattel, colonial and neo-colonial forms of enslavement) as it affects you, your family and community? Here is an example of how you can do so; see the revised ‘Stop the Maangamizi!’ postcard template, which we urge you to send to your MP, you can find out details about your MP here. The postcard is one tool aimed at enabling you to better lobby and engage with establishment decision-makers about including Maangamizi impact issues as they affect you, your family and community in the constituency representational work and local, national and international policy-making they prioritise. Please keep us updated about any progress you make as we are beginning to map which MPs are responding positively to the campaign aims. 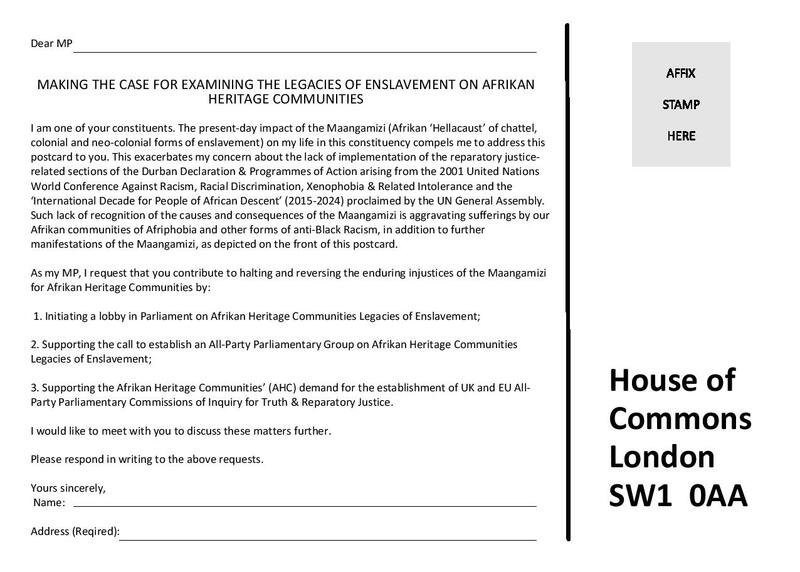 This entry was posted in ALL PARTY PARLIAMENTARY COMMISSION OF INQUIRY (APPCITARJ), REPARATIONS, STOP THE MAANGAMIZI CAMPAIGN, STOP THE MAANGAMIZI PETITION, UBUNTUKGOTLA/PITGJ, Uncategorized. Bookmark the permalink.